We’re honored to announce that Yoga Rocks the Park™ has named the Give Back Yoga Foundation as its National Seva Partner for 2014. Yoga Rocks the Park™ brings outdoor yoga and music events to more than 20 cities nationwide, bringing together people of all ages in a celebration of community, joy and giving back. Through this 2014 National Seva partnership, YRP will donate 5% of its net profits from national ticket sales to GBYF. 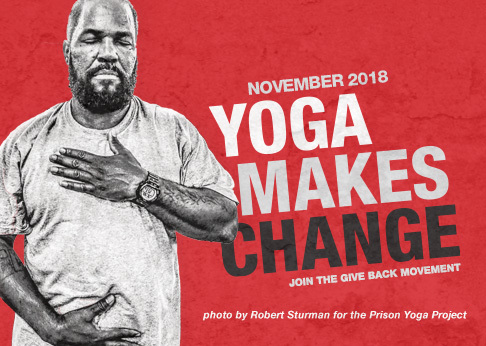 This funding will help our organization to bring yoga and meditation to thousands of people who might not not otherwise experience the benefits of these transformational practices – including veterans, at-risk youth, prisoners and those who are recovering from eating disorders. YRP will donate another 5% of net profits to local causes in each city where it operates. Rob Schware, Executive Director of GBYF, notes that the seva partnership with Yoga Rocks the Park™ and their parent company, Open Sky Event Marketing, is a catalyst that can fuel the growth of grassroots social change and community cooperation. “(This) is a way to join forces in fueling the growth of community-minded yoga events throughout the country,” says Schware. To learn more about Yoga Rocks the Park™ and find an event near you, visit yogarocksthepark.com.